In case of business persons or managers who are on the lookout for immigration to Canada, the ideal choice before them is the Business/Investor Immigration Program. This is an important immigration option and is done on a fast-track basis. Canada Business Immigration is gaining popularity these days. It seeks to attract persons with business acumen and managerial experience. Business immigration is an effective tool to contribute towards the progress, development, and growth of the Canadian economy. There are various opportunities and several avenues for the persons interested in making an investment in Canada. They can set up, or acquire a business in Canada, under the federal startup visa program. 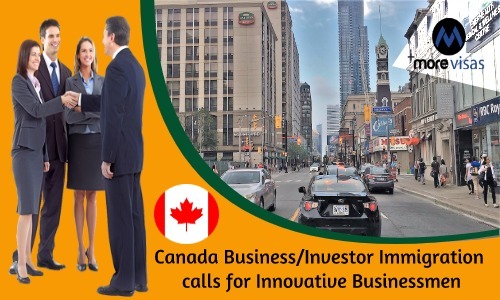 There is another option in the form of looking into the different investor/entrepreneur options based in the Provincial Business Immigration Programs. The choice of the province or territory to reside can be made. Based on the innovative nature business can be planned and built in Canada, in the Federal Start-Up Visa Program. One can obtain the start-up visa as an option. There is a Quebec Business Immigration also for the investors interested in the progress, development, and growth of the Quebec economy. The investors and entrepreneurs are given several options in the Quebec business immigration programs. Besides they can also participate in the Provincial Nominee Programs meant for Business Immigration. Thus there are options in the Canada Investor Immigration programs that can be harnessed for the ventures. Canada Immigration is a boon for the business minded persons.